Is There Any Naturally Cure For Acne? I'm Really Tired Right Now! 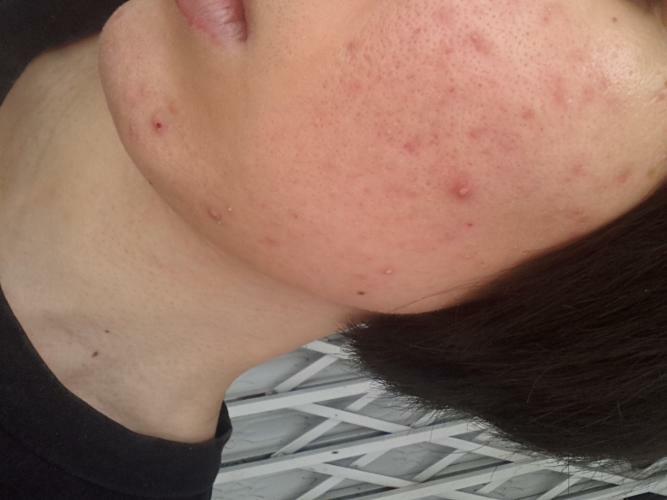 I;m suffering cystic acne for 4 years. I have big cysts here and there and a lot of tiny bumps spread all over of my face. I get rid of dairy products and junk foods, stick with a healthy skincare for a long time. 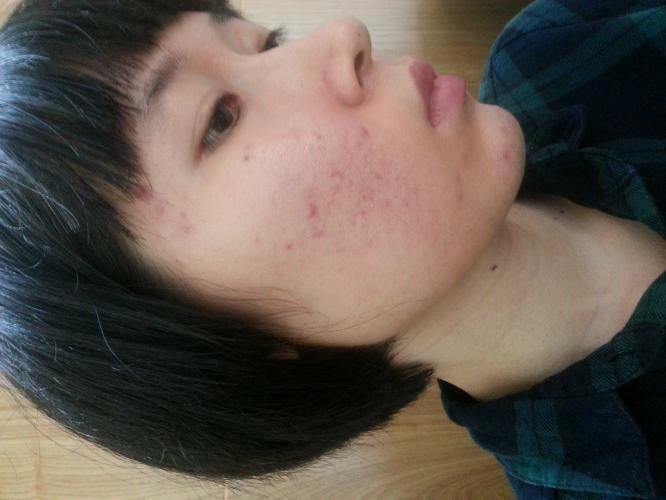 Finally, my acne get better. unfortunately, I have a very sensitive skin, extremely hot blood and the liver is so bad, (That's why i can't take accutane) . Once the weather is hot, my body temperature is rising, too, and of course, booom, acne is coming. I feel really depressed right now. i always ask myseft that" Is there a natural way to cure acne, without any pill??? I have similar situation like you. I live in tropical country and everyday it can be so hot even I stay in my room. I try to keep cooling down, with AC, or fans and wear not many outfit inside. Try goboutside to get air. Avoid staying in hot place for too long, especialky direct sunlight. Yes, I wish I had someone to fight too. In the mean time, try to clean up your diet as best as you can. Control what you can. Sun is great for you though! Get some sun without sunscreen! Oh... I can feel you. I have same feeling too, even now my face is still not clear up. I wish I had gorgeous/flawless skin that my friends have. But, I found interesting thing. Everyone has different skin type/genetic. So, when people have acne on face, that's mean the body try to tell them that they are not healthy. Although most of people around us have flawless skin, not having sensitive and oily skins like us, but their body doesn't tell them that they have toxins inside their body. They can eat many sweets, cake, delicious foods, so confidence face an all that we still can't have but they take a risk because their body doesn't responds to those toxins. I didn't have any courage to talk with people the face to face, even now but I still hard to talk with people on bare face, I usually thought that they see my acne instead talking to me. But, its their minds, we couldn't know their thoughts, just let them be. We just need to focus on life and treat acne as things that never get you down. I am still having bumps here and there, and when I get acne, it is so big, because I have large pores, oily skins, and so sensitive skin. I am trying to just leave my acne be and don't get stressed. When I really don't have confidence to go outside, I use foundations to cover up my face, it can boost up my confidence more, but be careful..we have to clean our face when we are done with make up. Basically, acne is come from inside.. (our minds and body needs to get in balance condition) not outside... So it's okay to get make up, but clean in as much possible when you are done and wash it gently with facial foam or moisturizer that doesn't have much alcohol. Alcohol can make our face red and dry, especially we have sensitive skin. I use natural moisturizer and facial tonic to really clean our make up. I still have so many red marks, brown marks all around my face but its getting better from ridiculous hormonal acne that I had before. I had acne around mouth, chin, cheeks, and forehead. 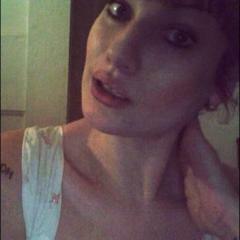 But now I concentrate to fade the hyper pigmentation, and its the harder things to fade more than the acne itself. My face has fair skin, so the red marks can shown well . I just believe that eating healthy foods can help us to fights acne (removing the toxins from inside and help skin to get renew cells, so it needs time. Try to stick with healthy diet for 2 months (1 month clear toxins, and 1 next month to give skin to heal itself/get new collagen to built new better skin). I am still in my early try healthy habit too, because I usually cheating to eat here and there ... but I have so much dedication to reach my goals so I will really leave trigger (white rice) and see what happen if I leave it for 2 month and eat healthy foods, avoid triggered acne foods. These scars and red marks can always make our self esteem down, I can really feel the same like... us acne sufferers who still fighting to get clear skin. But, we have to hard fighting our old mindset (that triggered acne) to new better/positive mindset and try to live as we are, and not too care about acne staying on our face. The acne will leave when we are in good mind and good body. Let's fight together! You can talk to me anytime here, because we are in the same boat. Fighting! Btw, What country do you live? I come from vietnam, where the weather is extremely harsh. Where are you come from, girl? I am struggling right now because 5-6 big cyts appeared thí morning because that day of the month is coming. 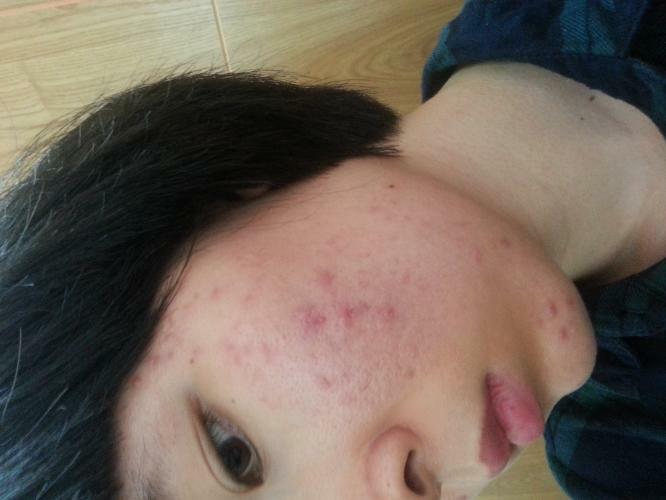 My acne were under control before I just want to talk to someone to share my thought and i'm so happy that I receive helpful information from you! Yes, don't mention it. I wanted to share knowledge about acne and what factors that causing it. 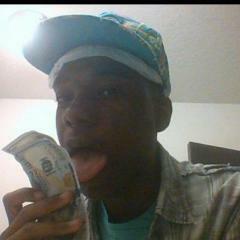 I was/am in the same boat, lol. I made a post in the Diet/Holistic forum that explains what I'm doing, maybe it can help. @ Oichi: let's try together. Yesterday I popped a blackhead and it didn't come out. And this morning when i looked at the mirror, it turned to red and really hurt, and of course, my face became disaster I promised to myseft that i won't touch it anymore and stayd happy. ahh thank you so much! that means a lot.. i am hoping what I did can inspire others:) we can definitely become friends!! Of course. Your bad liver is probably related to your acne. Acne is a sign that something is wrong or missing. For me, I had leaky gut and candida overgrowth. So food sensitivities triggered my acne. I avoid those foods and my severe cystic acne clears. Now I just have to heal and I'll be cured. But I'm clear right now. I agree with Melloman. I've also found that the best place to start is in healing the areas in your body that you already know are suffering. Once you knock out the big players (in his case his leaky gut and candida overgrowth), it becomes easier to recognize and organize the smaller-scale deficiencies. In your case, it looks like a good place to focus your strategy on is your liver and hormones. If you are able to find these products in your region, they would be very beneficial for your liver (and also your acne! ): N-acetal Cysteine (500mg-1500mg a day) and Milk Thistle (175mg-500mg a day). I had lots of liver problems from excessive NSAID (ibuprofen and tylenol) consumption over the years for migraine headaches and have found great relief from these two supplements. Additionally, they are terrific antioxidants and have been proven in studies to clear up acne. I also used to break out with severe cystic acne during the 10-14 days before my period began every month. Since taking Magnesium Citrate (500-750mg a day), Vitamin D3 (a pro-hormone) (8,000-9,000mg a day) and Vitamin K2 (MK7) every day, I no longer break out hormonally. I also no longer get painful periods, cysts, or PMS. My heart is with you, girl. Hang in there. So many of us have found long-term body/mind/soul recovery from looking outside of the box and and applying holistic healing methods, Rachkellz's post is a beautiful example. What does your skincare and diet look like right now? Morning: cleanser- toner- mouist- sunscreen. Night: oil cleanser- cleanser- toner -mouist. My diet is simple, too. I eat little white rice and little sugar ( i can't get rid because i'm too thin) , avoid dairy, junk food, soy,... it's really hard to avoid wheat because my country's main food is always white rice. Can I ask what kind of sunscreen you use? I had to stop using sunscreen daily (except if I was going to be in direct sunlight for over an hour) because it was clogging my pores too much (even the Cetaphil brand). Do you spend long periods of the day in direct sunlight? If not, you may not need so much sunscreen. Also, if you're not taking Vitamin D3 in a pill form, you may not be getting as much D3 as your body needs, which could definitely make your skin worse. The acne you have looks a lot like it's being caused by excess sebum and blocked pores and doesn't look terribly dry or irritated which could indicate the problem may be from what you are putting on your skin as opposed to what you are putting in your body. Some suggestions: Perhaps instead of the sunscreen this week, you could try wearing a hat to protect your face from the sun while you're outside if you are worried about about burning or sun damage, and either switch to a mineral foundation that has added sunscreen or use a very thin layer of calamine lotion with zinc oxide under your makeup (it also makes a great foundation primer, but you may want to test it for a day to make sure it doesn't clog your pores). Also, you might want to start taking vitamin D3 in a pill form on a daily basis to make sure you're getting enough of it. It could really help your skin. I just looked up the ingredient list for Clarins and there's a whole bunch of stuff in there that could be causing your breakouts. If the sun is very strong where you live and sunscreen is absolutely necessary, I'd say go for zinc oxide cream. The purer the better (and also, usually the cheapest). Many people even report it helping acne and scars a whole lot on its own. Some people even wear it to bed at night to clear up acne. You only need a very little bit. It will look kind of white at first on your skin but once it absorbs you won't see it. Unless there is added D3 in your Omega 3 supplements, you will need to take D3 separately. But if you do get a lot of sun on a daily basis (on bare skin), like, 20-30 minutes or more, you may not need it. You could very easily have your levels checked by a doctor. But if you always cover up your skin with clothing and sunscreen when outdoors, your skin won't be able to absorb it. The best levels for most people are between 3,000 IU's-10,000 IU's. The other two things you will need for your D3 to work best is Vitamin K2 (at least 100-200mcg). And Magnesium Citrate or Magnesium Glycinate (500-750mg). But again, depending on how much sun your bare skin actually gets on a daily basis, you won't know whether you need it for sure or not unless you get tested. Thank you so much. may be sunscreen is the culprit of my acne. Now I have tons of clogged pores and unhidden tiny bumps.I will get rid of this sunscreen except when I have to go out too long. I used to think that this sunscreen will protect me from the strong sunshine so I bought it even I didn't have much money! 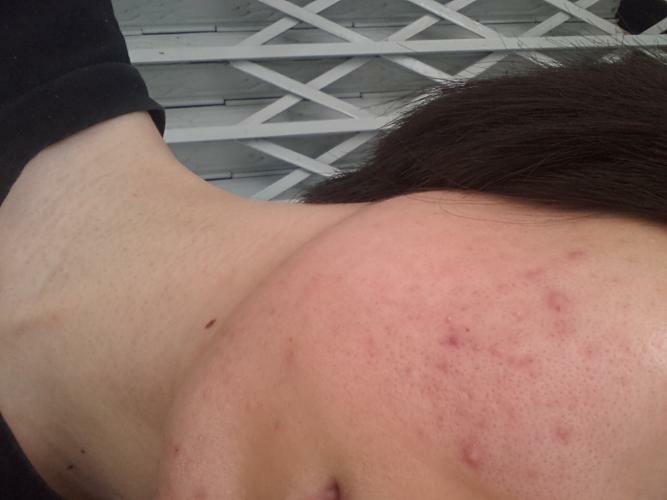 Oh no, honey, I don't think your acne is anywhere near as bad as it would need to be to require Accutane. That is a very, VERY strong drug that can have serious, long-term health hazards. You could just experiment this week with a hat to protect your face from the sun instead of the Clarins and see if the sunscreen is in fact the culprit. Then you will know whether or not you need to make any other changes. My skin update: My tiny bumps decreased but i have some painful cysts with no heads appeared ( My skin looked even worse than before!